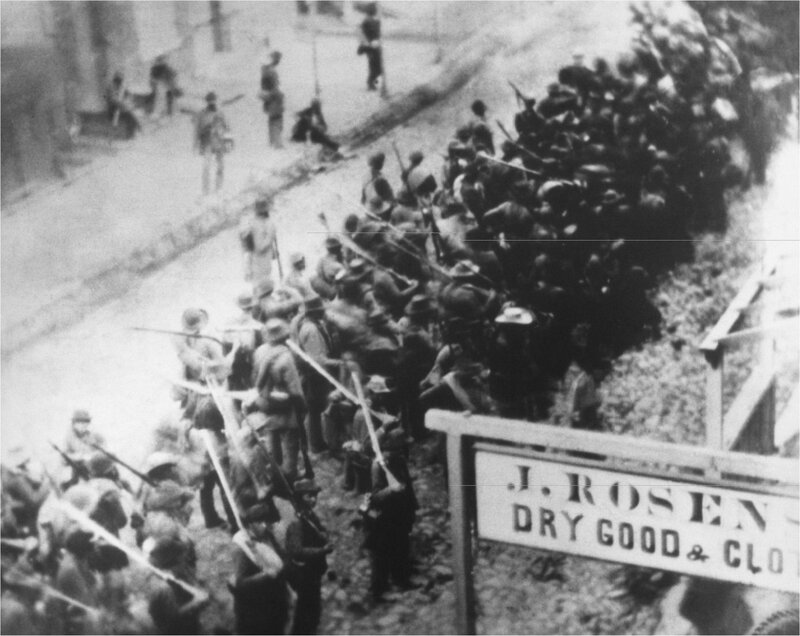 The 8th Georgia Volunteer Infantry. 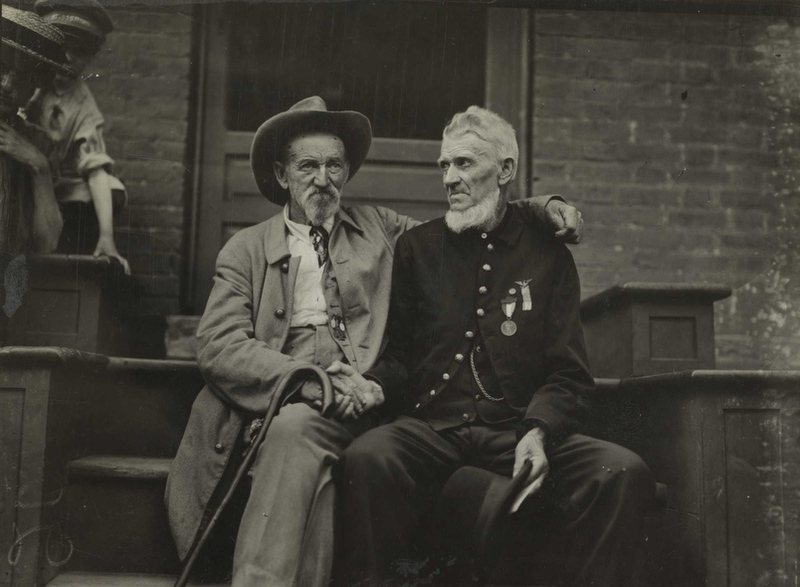 They embodied the fighting spirit of the southern men from the moment they stepped upon the field at Manassas, where they suffered 200 casualties and yet continued to fight, to the moment they surrendered at Appomattox with only 100 men present. If we're doing Brigades, I would have to agree with Gokiller on this. However, if we're just doing regiments I would probably say something like the 27th Virginia. It was nicknamed "The Bloody 27th" because of its losses at First Mananas, about 141 casualties in that one day. The 27th fought in many campaigns throughout the war, including the Battle of Antietam, Battle of Gettysburg, and through to the Appomattox Campaign. the 10th Tennessee Volunteer Infantry "Sons of Erin"
#1: The 122nd New York Volunteer Infantry. Why number 1 you may ask. Because this regiment could do it all, skirmish, scout/raids, repulse attacks from an entire brigade of troops. I would seriously consider these guys one of the most non-talked about regiments of the war, and yet they saw serious action within it. #2: The 13th Pennsylvania Reserve Regiment (42nd Pennsylvania or the 1st Bucktail regiment/ 1st Pennsylvania Rifle Regiment.) These guys were awesome simply because they were issued Sharps 1859 breach loading rifles. These guys were carrying weapons usually only equipped by special sharpshooter regiments. The regiment rescued the 1st New Jersey cavalry and repelled an attack by Stuarts Brigade made up of the 44th VA, 58th VA, 1st MR, and some random Louisiana regiment. Oh and while they did that they killed "Stonewall" Jackson's cavalry commander Turner Ashby. #3: The 1st Kansass Colored Volunteer Infantry. These guys were an interesting bunch because their uniforms definitely looked awesome and they were the first colored regiment engaged in a battle in the civil war. Pretty cool photo of two vets from opposite sides of the war shaking hands. Not only because my ancestor was in Company A, and not only because they wore some badass frock coats and slouch hats, but because they flanked the crap out of Pickett's charge and were one of the deciding factors in beating it back.